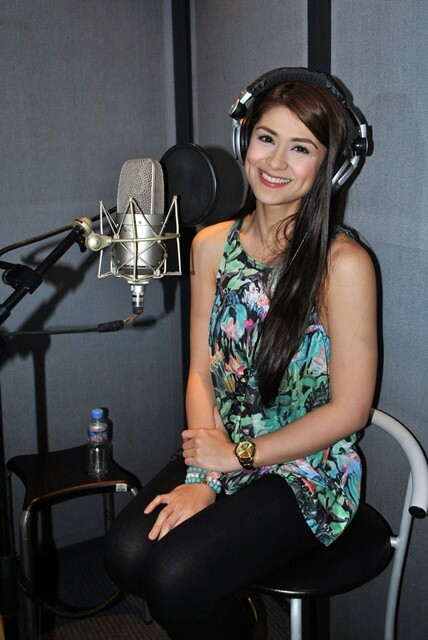 Kapuso Primetime Queen Carla Abellana signed a recording contract with Universal Records last August 29, 2013. Present in the event are Talent Manager Arnold Vegafria, Record Producer Ito Rapadas, General Manager Kathleen Dy-Go, Carla, and UR Operations Manager Peter Chan. She immediately proceeded to the recording of her first single – a cover of Toni Daya’s hit 'Kung Alam Mo Lang' which happens to be one of my favorite OPM classic songs! Carla is regularly seen on the hit Teleserye 'My Husbands Lover' every night on GMA7's Telebabad with Dennis Trillo and Tom Rodriguez as her co-stars. Other than the show getting positive reviews, Carla is being praised on her stunning performance both by critics and c0-actors. I've been watching the soap since day 1 and this is by far Carla's best delivery. She deserves a 'Best Actress for TV' award on this drama series. Watch out for the details of her album soon here on Morgan Magazine.